Prospect Lake in Saanich, Victoria British Columbia. 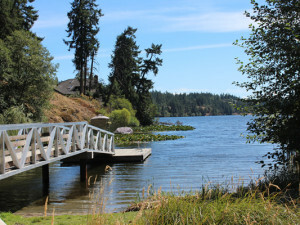 While most of the shoreline around Prospect Lake has been claimed by private residences, there are two small parks and a boat launch that provide access for the public. Boats with electric motors are permitted on the lake with speed restrictions. Rainbow trout and cutthroat bass are stocked regularly – Prospect Lake is a favourite for fishers. The new dock at the north end of Prospect Lake. For Prospect Lake trail maps, photographs, directions, and much more practical information get a copy of the Secret Lakes of Southern Vancouver Island Guidebook. 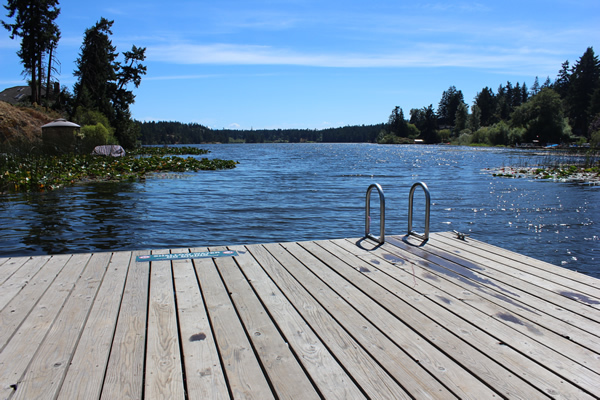 In the full book you’ll find details on facilities, swimming, hiking, fishing, boating, kids, dogs, and plenty more for 25 lakes in Victoria, Sooke and Saanich. Watch the forest glide by as you swim through clean, warm waters on a hot summer’s day. Admire the wildflowers as you hike to a secluded lake, or spend a sunny afternoon with the whole family on the beach. From fishing for trout with eagles overhead to enjoying a peaceful morning at the lake shore, the lakes of southern Vancouver Island are a fantastic way to get outside. 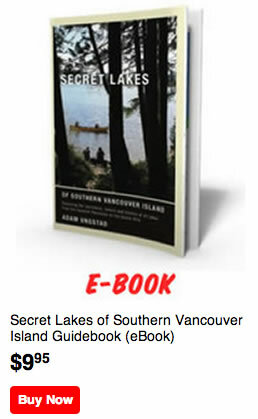 The Secret Lakes of Southern Vancouver Island Guidebook is packed full with 152 pages of maps, photographs, quick reference, top ten lists and history.